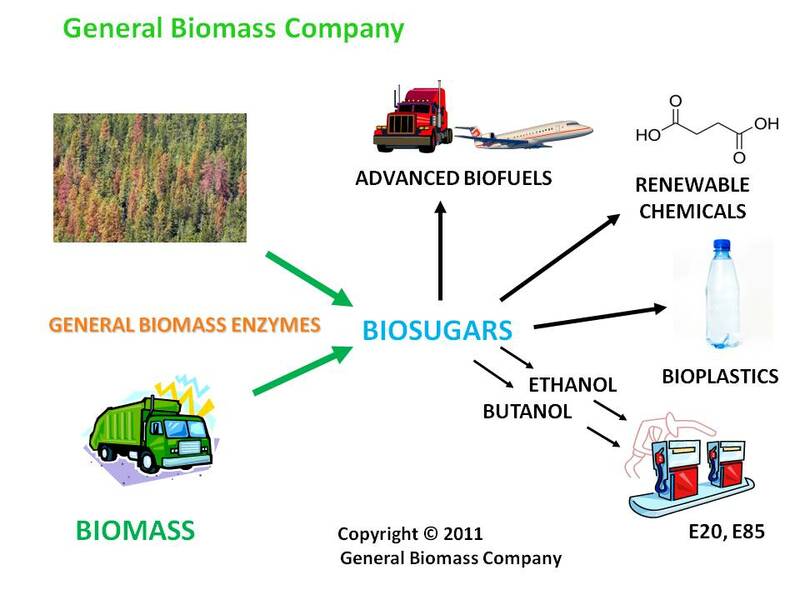 General Biomass Company is currently developing advanced industrial enzymes which convert nonfood cellulosic feedstocks to sugars for bioplastics, sustainable packaging, renewable chemicals and biofuels. Our cellulosic technology can produce sugars from a wide range of feedstocks: ag residues, MSW, forest residues, or peripheral biomass from fruits, palm and coffee beans. We work with customers to create value chain technologies for sustainable packaging in the food and beverage industries, ethanol, butanol and biojet producers who want to utilize cellulosic feedstocks, and companies who want to turn waste products into sustainable GHG-reducing solutions. We offer a range of services from consulting on specific projects, specific biomass feedstocks, technology and patent analysis, to working with your R&D department to develop new enzymes selected and customized for your application, lowering risk in the R&D and pilot phases, lowering costs at commercialization. New process? New feedstock? Need thermophilic enzymes? Contact us today for a free consultation and let us help you develop the best enzyme and biobased intermediate solutions for your needs. General Biomass Company 2906 Central Street, #134 Evanston, IL 60201 U.S.A.